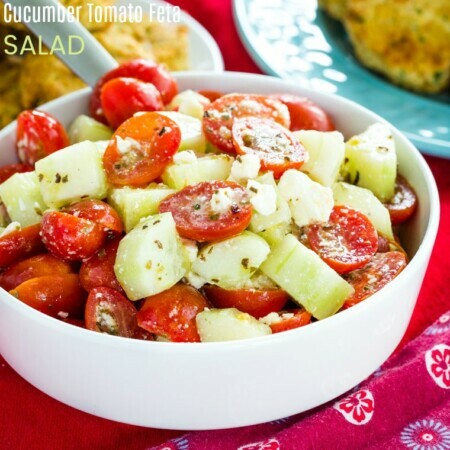 A healthy and simple side dish with tons of flavor that even gets the picky eaters to eat their veggies. 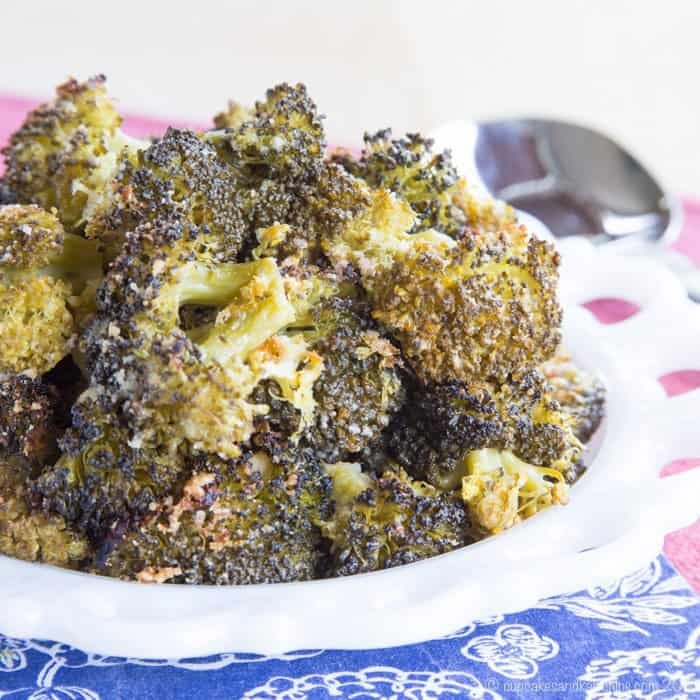 Lemon Parmesan Roasted Broccoli is an easy side dish that packs a ton of flavor and a surefire way to get even picky eaters to gobble down their green vegetables. 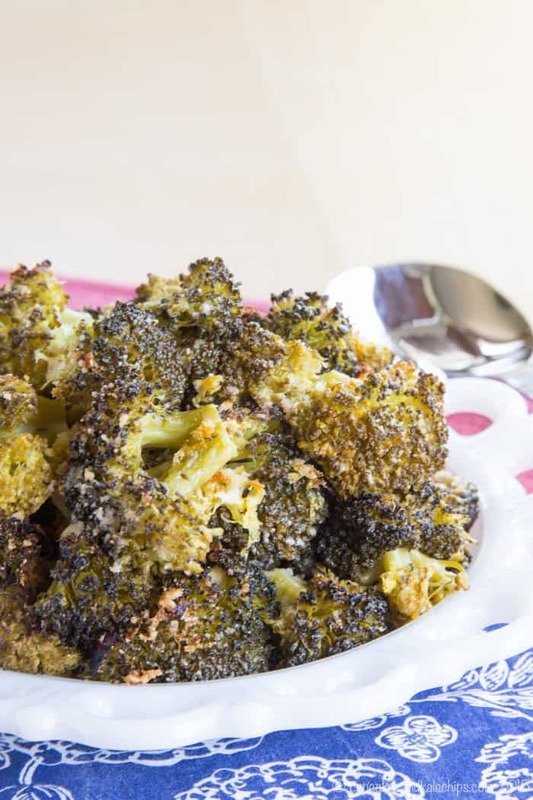 This parmesan roasted broccoli with the zing of lemon juice and lemon zest is a family favorite recipe. I thought it was about time to update some of my older posts with new photos since my photography has improved significantly over the years. 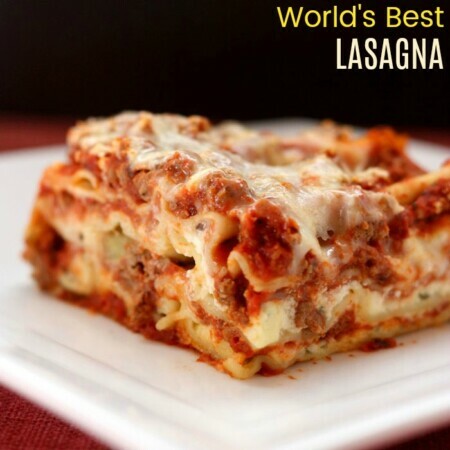 Despite out of focus, odd-colored, unappetizing pictures, this post has been fairly popular, perhaps because it’s so easy and soooo yummy. I can eat this broccoli like candy. If you want to see the old pics, scroll down and then boost my ego by leaving a comment about how much better my photography has gotten. 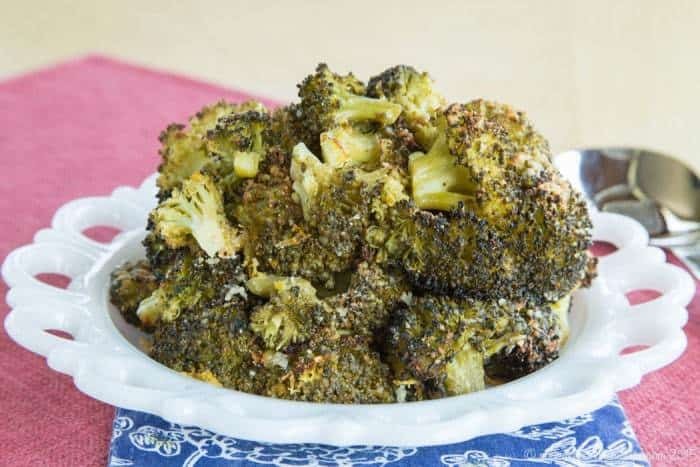 This Lemon Parmesan Roasted Broccoli has convinced even picky eaters to eat their veggies! Like the Oscar acceptance speeches, I am going to keep this one short. The past few days, I have posted the pot roast and mashed potatoes from my Oscar Night meal for some of my leading men. I made them happy, but being a good granddaughter, daughter, wife, and mother, I also want to keep them all healthy. So I knew that I had to work a green vegetable into the meal. 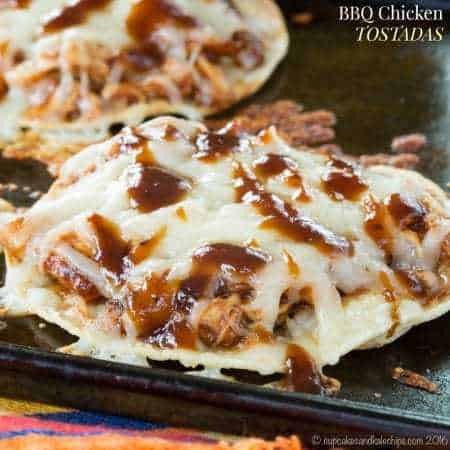 Since they were being my guinea pigs for the other parts of the meal, I figured I would stick with a tried and true recipe. I’ll call this the Best Supporting Actor of the evening, since it complemented, but didn’t but didn’t stand in the way of the Lead Actor and Actress. And, for The Bug, it was a scene stealer. He loves broccoli, and usually eats it like it is candy, especially when it is roasted. I think it has something to do with my insane cravings for Wendy’s Broccoli Cheese Baked Potatoes and Panera’s Broccoli Cheese Soup when I was pregnant. The Bug and The Hubby (and most of my family), like their broccoli fairly soft, so you’ll see that I steam it a bit before roasting it. 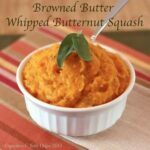 If you like it a little firmer, you can just skip the steaming part, and maybe just roast it a bit longer. 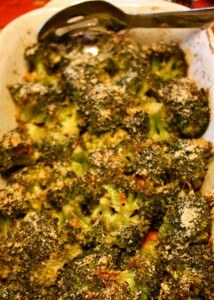 Mmm, the browned cheese and edges of the broccoli give it a toasty, nutty flavor, and the lemon adds a bit of tang. 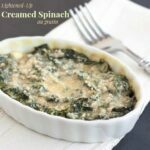 It is simple enough veggie side dish to make any day of the week, but special enough for a Sunday dinner. And it is one of our faves, so I hope you like it too. 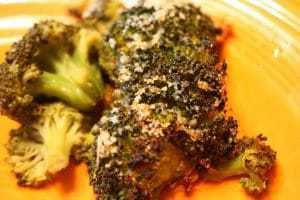 Steam the broccoli until it is slightly tender. Zest the lemon and set aside about 1/2 Tablespoon of the zest. 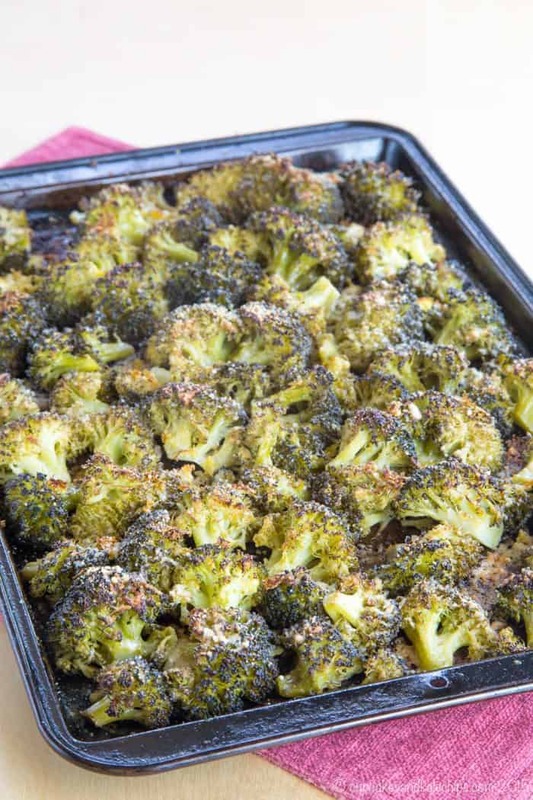 Toss the broccoli with the juice from the lemon, olive oil, salt, and pepper, and put in a glass or ceramic baking dish or spread on a baking sheet that has been sprayed with olive oil or cooking spray. Sprinkle the parmesan and lemon zest over the broccoli. 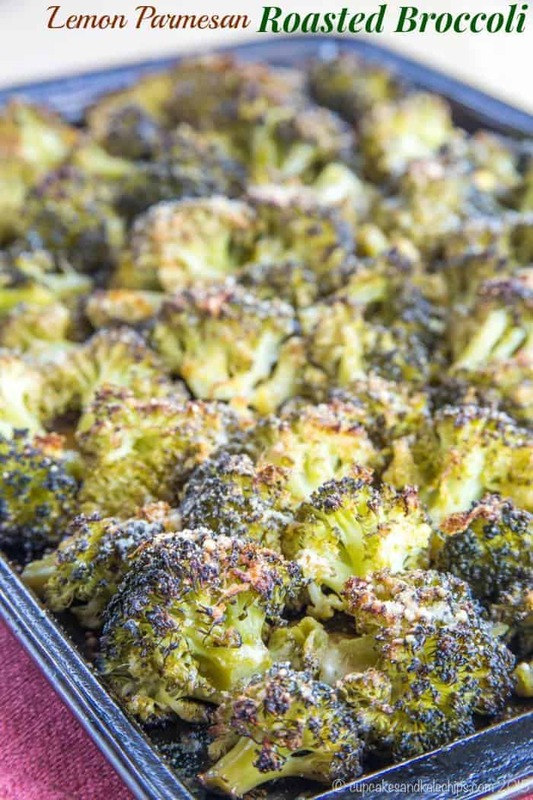 Roast in the oven for 15-20 minutes, or until the broccoli is as soft as you like it, and the cheese and edges of the broccoli are browned and crispy. 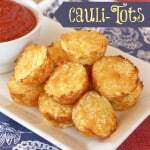 Here are some more of our favorite veggie side dishes…. Can you believe these old photos!! Ugh, my first photos are so embarrasing, I even used the flash several times! This parmesan broccoli will go perfect with the grilled fish I’m making tonight, I even have all the ingredients on hand! Thanks for sharing! Oh yes, I used flash with my overhead lights on, in the dark. I have some awful ones. Hope you enjoyed it! Yep, your photos now are worlds better than years ago. I think most all food bloggers are the same in that respect. Awful doesn’t even describe my first ones. I bet all of your men appreciate the greens (even if it’s a subconscious appreciation!). Funny that broccoli is on the brain 🙂 I am about to head over and check out your post for today. Haha! Growing up, I only ate corn and candied carrots. I try not to way overcook the veggies, but just make sure they are a bit soft. I was reading this in bed this morning as I was waking up. I love your tip, to steam it first! 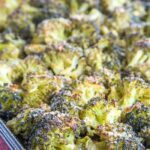 I’ve roasted cauliflower once and found it dry, so I haven’t tried it with broccoli but I think this tip will work perfectly. Thanks! Let me know how it works out for you! I’ve done cauliflower just in the oven, but did it at super high heat, covered for about 20 minutes (this essentially steams it), then uncovered for, I think another 20-30 minutes, until it was really soft and toasty. 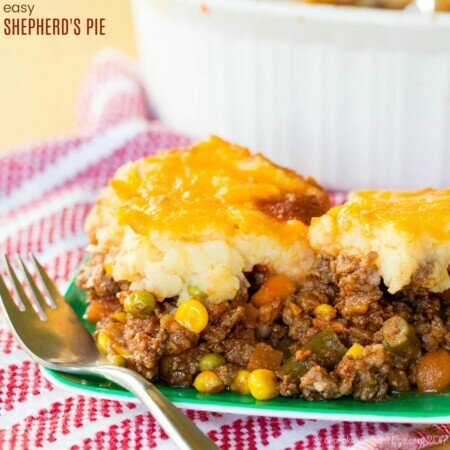 I haven’t tried doing this with the broccoli yet, but it will probably work, just put on the cheese after uncovering it.